See the entry for Mount Nebo. 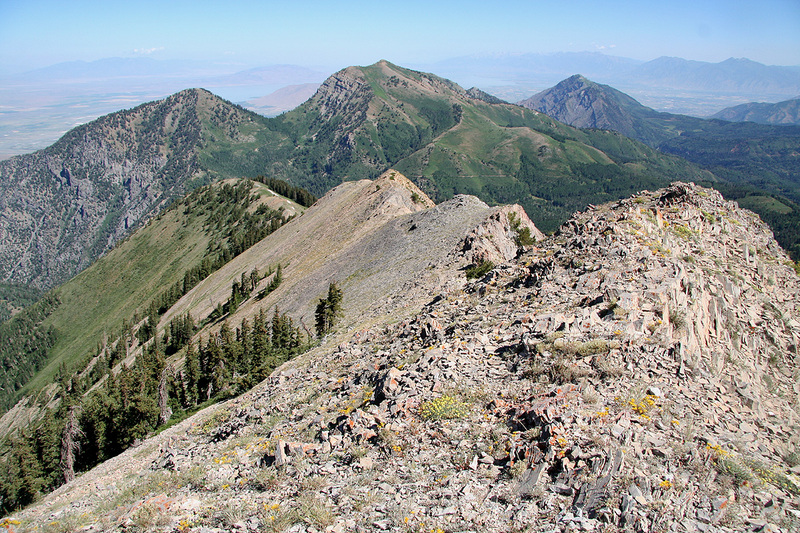 Instead of traversing on the west side along the trail to Mount Nebo, head straight up the ridge. There is a climbers trail. From the Wolf pass (on the south side), the summit is an easy walk on very nice (YDS class 1) terrain. 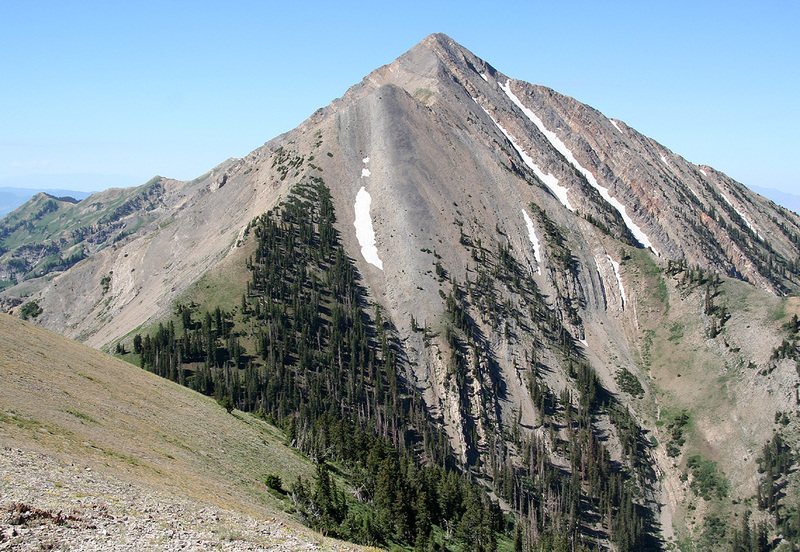 I would recommend to traverse this peak on your return hike after climbing Mount Nebo. See also the entry for Mount Nebo. 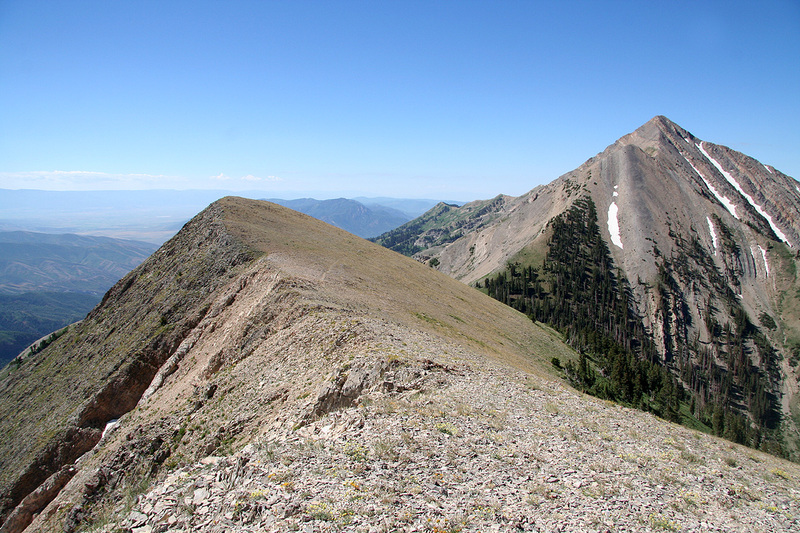 We traversed this peak from south to north on our return hike from Mount Nebo. It is an easy and very worthwhile thing to do. The Nebo North Peak, as seen from the first part of the trail. 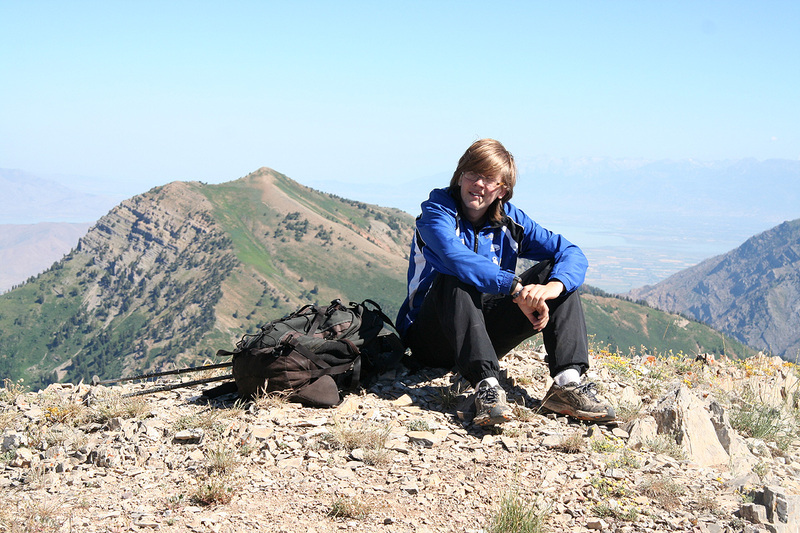 On the summit of Nebo North Peak. 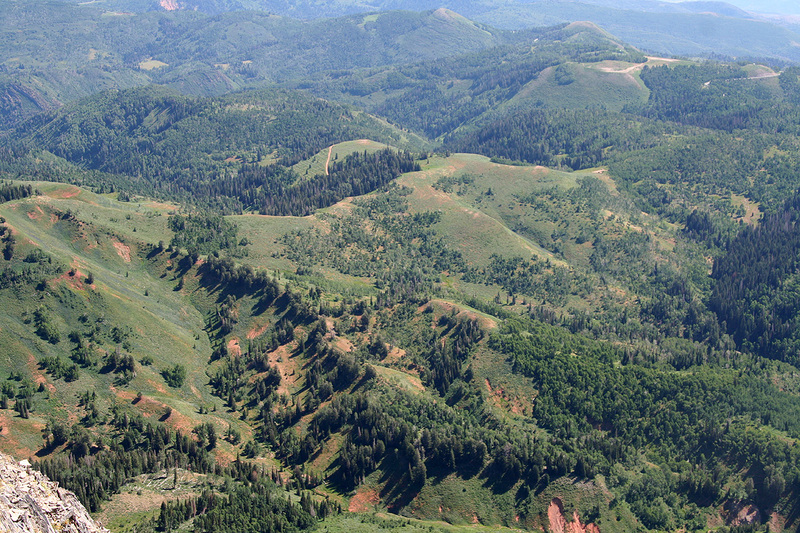 Mount Nebo, as seen from Nebo North Peak. 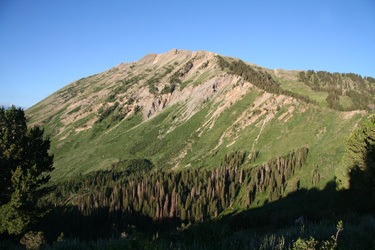 The north ridge, as seen from the summit.